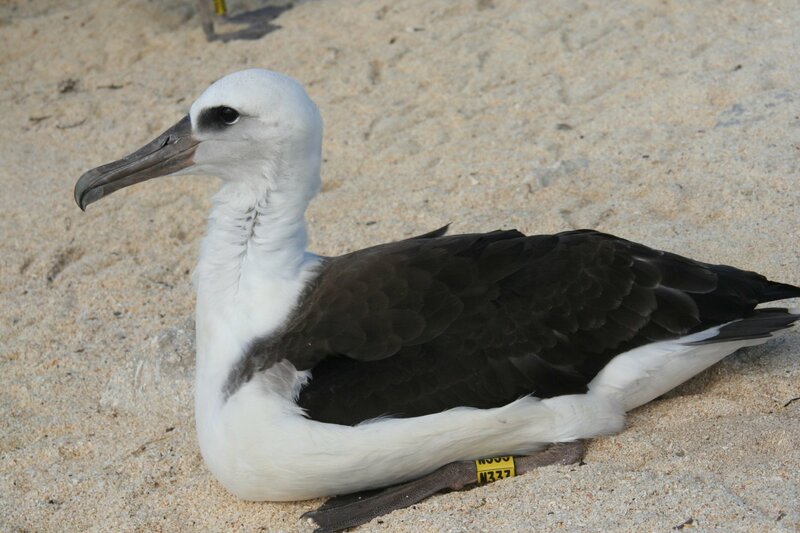 While I often tease Corey about how many albatrosses we have down here in New Zealand, the fact is that the United States has three species of Albatross that breed within its boundaries, albeit one of them only very rarely, and visit the western shores of North America. 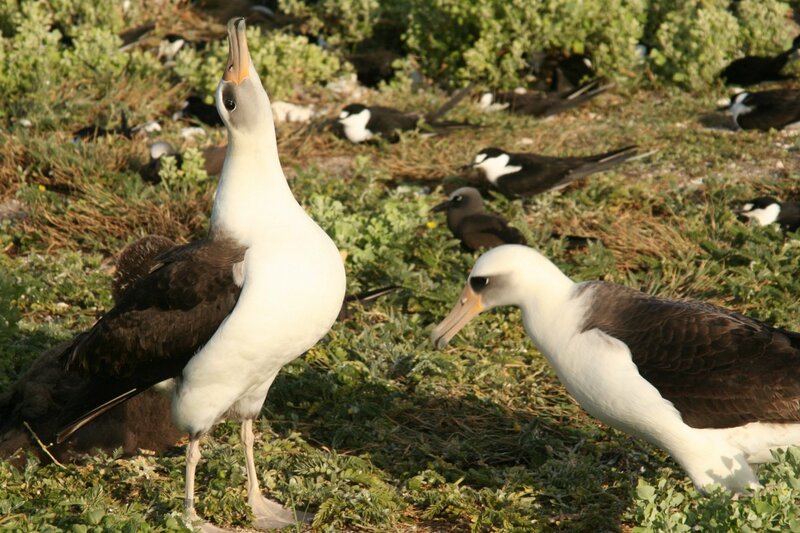 But the islands of Hawaii have two species that breed in considerable numbers, and the highlight of my time spent working on Tern Island in French Frigate Shoals was spending time with these birds. And by working I mean banding them and by them I mean about two thousand of them. Two thousand albatross to band and generally two to eight people (usually four) to do it. It took ages, but it was a constant delight. 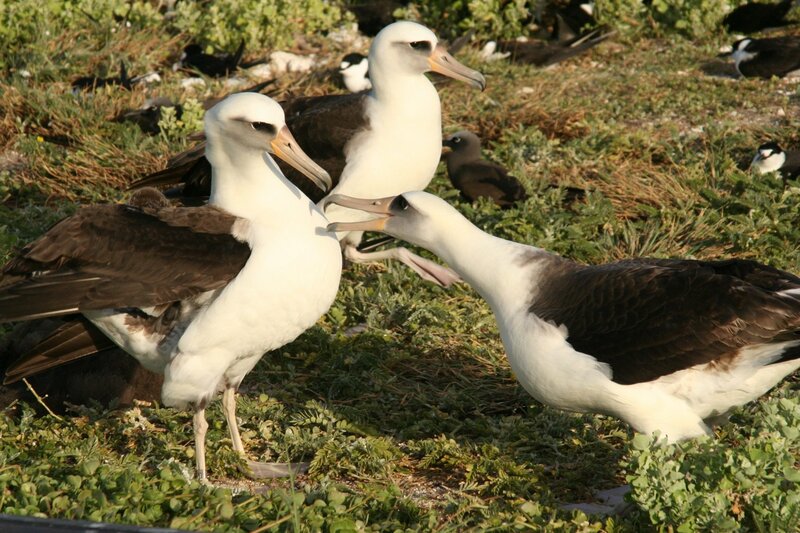 One of the two species found on Tern Island is the Laysan Albatross. 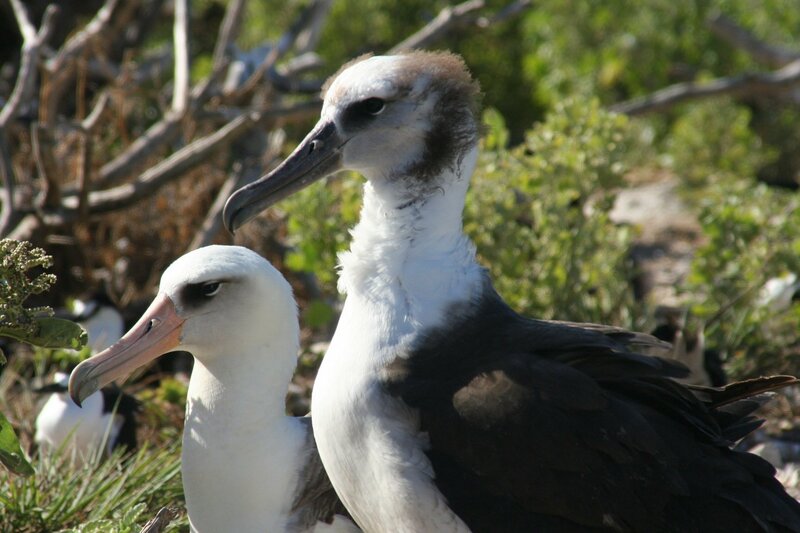 One of the four species known as the North Pacific Albatrosses, it is also the commoner and less endangered species in its genus. 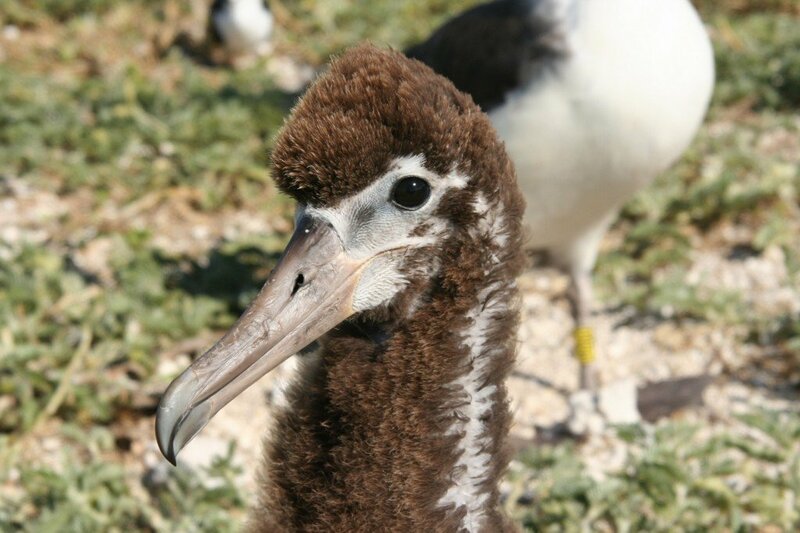 As well as the island of Hawaii it also breeds in the Bonin Islands off Japan and has recently begun to colonise islands off the coast of Mexico. It is also a very attractive bird, as I hope you will agree. And since it is almost Christmas, I think you all deserve some albatross pics! Some young adults. 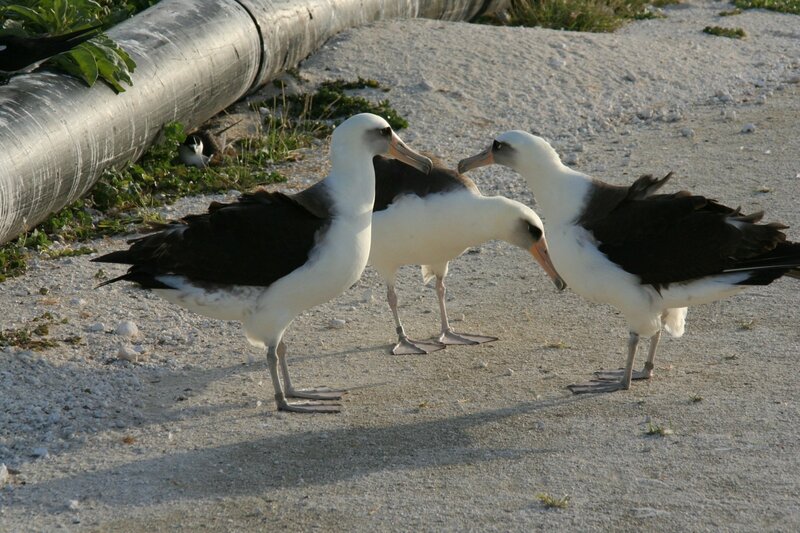 Before breeding it takes several years for albatrosses to form a bond, and groups will practice until they start to pair off. Here three birds are dancing but a pair hasn’t yet formed. 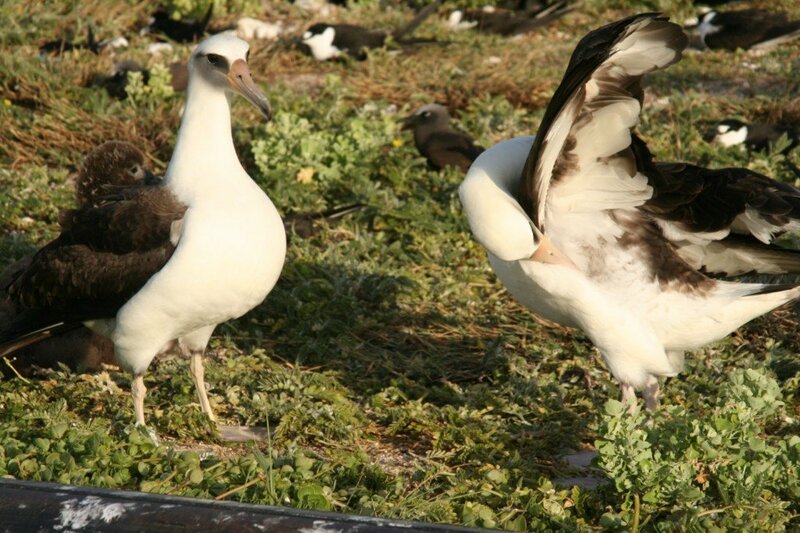 The dances of the albatrosses are famous. They develop over several years between the two. They are composed of arrangements of stereotyped behaviours and the exact combination of moves is unique to each pair. 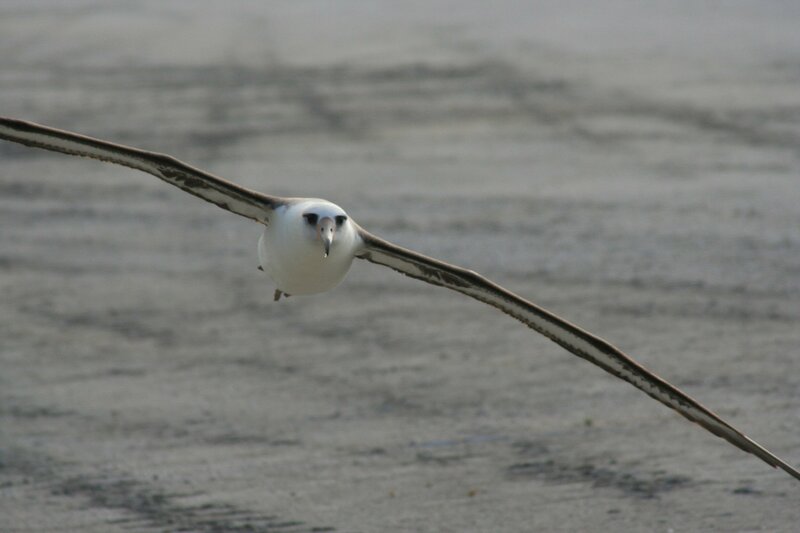 Sky pointing is one of the best known components of the dance of albatrosses. I arrived at Tern long after the chicks had hatched. 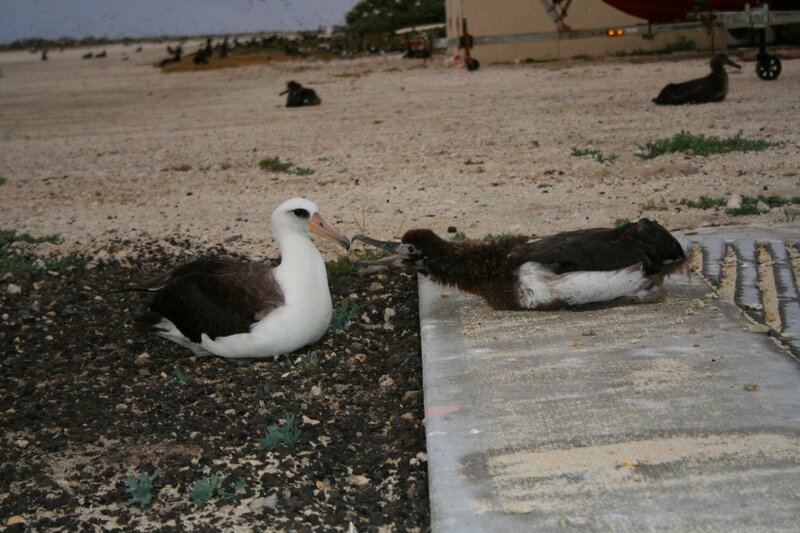 Here a chick begs for a feed from a parent. Still a lot of down on this one! The mutton chops Founding Fathers look! A ready to fledge youngster. 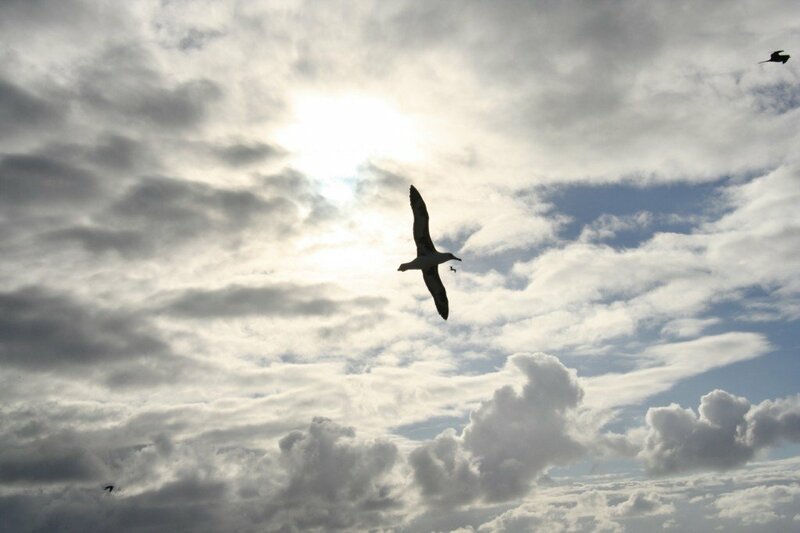 And finally some scenery with convenient albatross! Great photos! Keep ’em coming. Fabulous! Such a storied species! Would be a dream bird for me, but little hope that I’ll ever get to see one. 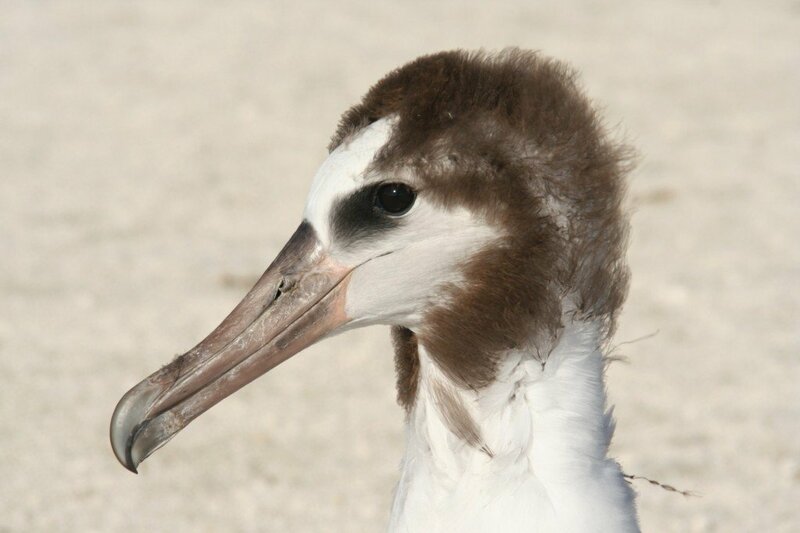 @Corey: I may be mistaken, but if I remember correctly, one of the forms of “Wandering Albatross” is called “Snowy Albatross”.